All homeowners expect their new roofs to last. That said, if a roofing contractor cuts corners, even a new roof can fail. This means it’s not just the choice of materials that’s important; it’s also the right contractor. Thankfully, having the right roof replacement contractor, like Independent Construction Services, can help. Even the best shingle available, if not installed right, will not keep the roof from failing. Use a contractor certified in a particular manufacturer’s product. Those who have the proper knowledge and experience with the products are the ones who can bring out the best in them. A well-balanced intake and exhaust of air in the attic keeps your roof healthy. Improper ventilation can cause damaging heat and moisture build-up in the attic. It also causes ice dams in the winter. Your contractor should address ventilation in your attic. 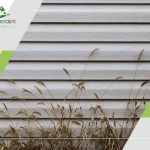 Your exterior vinyl siding contractor, Independent Construction Services, takes care of these issues. Don’t hire a contractor who skimps on items such as edge metal, sealants or leak barriers. Ask contractors what materials they use. If a contractor is skimping on important items, it can cost you in the end. Paying a bit more upfront is almost always the better option. Some contractors cut corners and use caulk to seal chimney flashing. They consider these roof components more as design rather than functional elements. Caulk can break down over time and can cause water seepage through the flashing. Your contractor should waterproof a chimney, skylight or wall with proper flashing. Cutting corners puts your home at risk and might even cost you more in the long run. This holds true for any installation and repair work, including exterior painting service. Hire a reputable company like Independent Construction for any roof repair or installation. We make sure we have quality materials and proper workmanship for each project. We serve homeowners in Candler, NC, and the surrounding areas. Give us a call today at (828) 358-1780 for a consultation and free estimate. 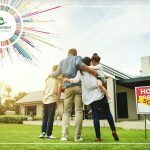 Selling Your Home: Cosmetic or Functional Improvements? 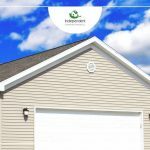 Why Is It a Good Idea to Invest in Vinyl Siding?